Tipperary will face Clare in next Friday night’s decider. 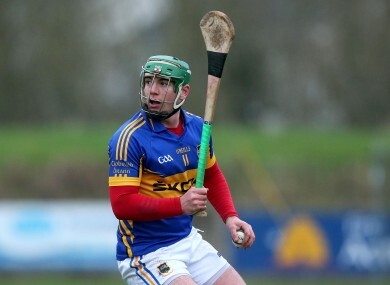 EAMON O’SHEA’S TIPPERARY posted a massive score against University of Limerick this afternoon to book a place in next Friday evening’s Waterford Crystal Cup final against holders Clare in Sixmilebridge. Tipp had 14 points to spare against understrength UL in this rearranged semi-final fixture at Dr. Morris Park, Thurles. Tipp’s win sets up a repeat meeting of last year’s Waterford Crystal Cup decider against All-Ireland champions Clare and O’Shea’s free-scoring players have now registered 7-66 from their three outings to date in the 2014 competition. 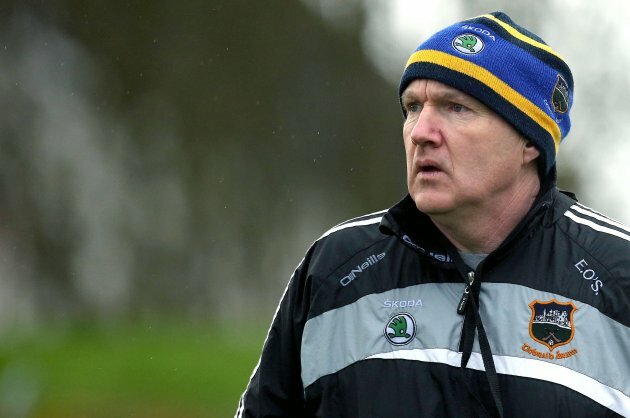 Tipp had eleven players on the scoresheet today, with John ‘Bubbles’ O’Dwyer hitting 1-9 in the first half alone, before he was substituted at half-time. Tipp’s victory may have come at a cost, however, after Seamus Callanan and David Collins picked up injuries that led to both players being taken off. UL began with just four of the players who started against UCD in their Irish Daily Mail Fitzgibbon Cup opener last Friday. And the gulf in class was all too evident as Tipp cruised into a 1-19 to 0-10 half-time lead. O’Dwyer scored the 33rd minute goal to cap a fine first-half display from the Killenaule player, with PJ Scully trying in vain to keep UL in touch from placed balls. With the breeze at their backs in the second half, UL threw over some lovely scores, including four from Kilkenny’s Padraig Walsh, who came on at half-time. But Tipp kept the scoreboard ticking over with regularity and Conor Kenny completed the rout with Tipperary’s second goal in the dying moments. Scorers for Tipperary: John O’Dwyer 1-9 (0-5f, 0-1 65), Kieran Morris 0-6 (5f), Conor Kenny 1-1, Seamus Callanan 0-3, Mikey Heffernan, Shane McGrath, Michael Cahill & Ruairi Gleeson 0-2 each, Kieran Bergin, Brendan Maher & Colin O’Riordan 0-1 each. Scorers for UL: PJ Scully 0-9 (7f), Padraig Walsh 0-4, Tommy Heffernan (2f) & Brian Stapleton 0-2 each, Peter Geraghty, Mikey O’Neill, Kevin Connolly, Tom O’Brien & Bill Maher 0-1 each. TIPPERARY: Darragh Egan (Kildangan); Conor O’Brien (Éire Óg Annacarty), Thomas Stapleton (Templederry Kenyons), Jack Peters (Kilruane MacDonaghs); Shane McGrath (Ballinahinch), Padraig Heffernan (Clonoulty-Rossmore), Ronan Maher (Thurles Sarsfields); Michael Cahill (Thurles Sarsfields), David Collins (Drom & Inch); Kieran Bergin (Killenaule), Mikey Heffernan (Nenagh Éire Óg), Seamus Callanan (Drom & Inch); Ruairi Gleeson (Kildangan), John O’Dwyer (Killenaule), Kieran Morris (Moycarkey-Borris). Subs: James Logue (Ballingarry) for Egan, Colin O’Riordan (JK Brackens) for Bergin, Brendan Maher (Borrisoleigh) for Callanan, Conor Kenny (Borrisoleigh) for O’Dwyer (all half-time), Shane Bourke (JK Brackens) for Collins (39). UNIVERSITY OF LIMERICK: Shane Hassett (Tipperary); Mark Carmody (Limerick), Jack Sheehan (Cork), Pa Ryan (Tipperary); Daire Quinn (Tipperary), Michael O’Flaherty (Tipperary), David King (Offaly); Martin Boran (Kilkenny), Brian Stapleton (Tipperary); Mikey O’Neill (Clare), PJ Scully (Laois), Thomas Geraghty (Offaly); Mikey Ryan (Limerick), Tommy Heffernan (Tipperary), Peter Geraghty (Offaly). Subs: Padraic Walsh (Kilkenny) for Peter Geraghty, Kevin Connolly (Galway) for O’Neill, Bill Maher (Tipperary) for Boran, Tom O’Brien (Limerick) for Heffernan (all half-time), Eamon Murphy (Waterford) for Thomas Geraghty (53).